Peg Leg Tjampitjinpa was born around 1920 in the area around Wilkinkarra, where he lived with his family until 1957. 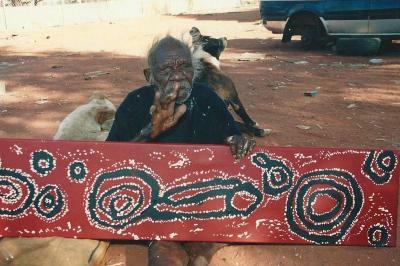 In 1964 he moved with his family to Yuendumu. Since 1984 he is a trustee and important member of the Wilkinkarra Land Trust. 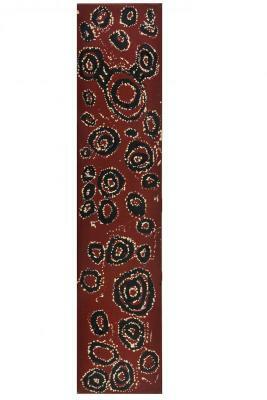 Today Peg Leg Tjampitjinpa lives in Watiyawalu, close to Mount Liebig. Peg Leg was a good friend of Pinta Pinta Tjapanangka, a family member and a . . .